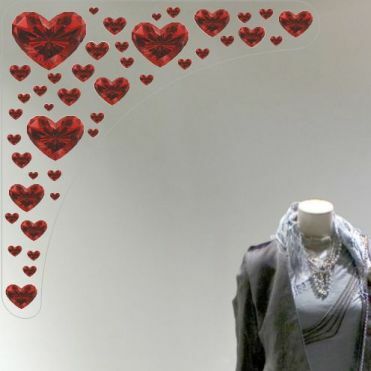 A wide range of valentines day window displays for shop windows, ideal for gift shops, jewellers and fashion outlets. Designs include hearts, flowers, roses, text stickers, which can be ordered to your required size and a colour of your choice. 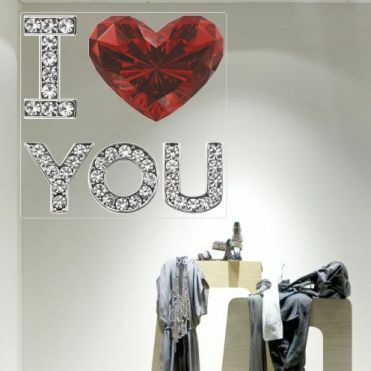 Designs in a size and colour of your choice..
Valentine's Day themed designs with quotes. Stylish designs to fit at the top of your window. 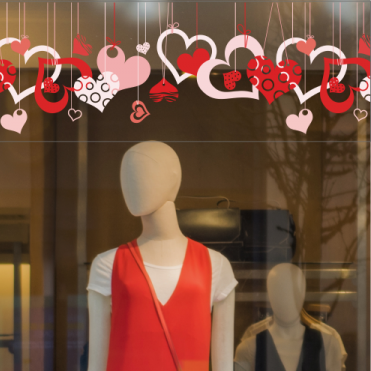 Valentine's day themed designs to embellish your windows. Available as a pack or as a large sticker. 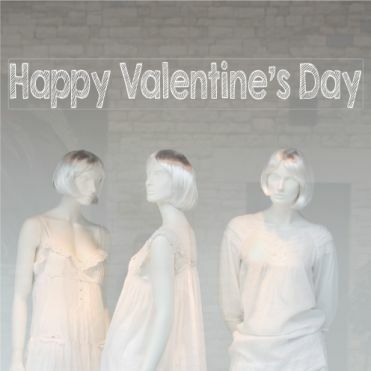 Happy Valentine's Day in a choice of fonts. Choose a template and add your own text. 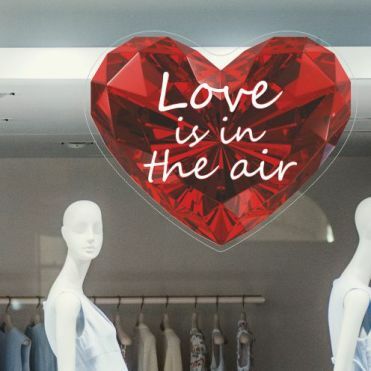 Spice up your valentines day window display with Purlfrost window stickers which can be ordered in a choice of colours, sizes and materials. They can be applied to glass or any other smooth flat surface including plastic, metal and wood (self-adhesive).